Robert Dutton Artist: Thinking big...and working big! I've just come back from Higham Hall having had a fabulous week from 2 - 6 July watching the students I've had the privilege to teach (to include one dear lady Sue Hensley who came to be with me all the way from the USA) develop during our wonderful art week together in so many different ways. This painting was one I created during the week in an evening demonstration (one of 4 during the art break) using mixed media on the wonderful Canson papers. Absolutely FANTASTIC textures! Here are the stages...in that fun hour! 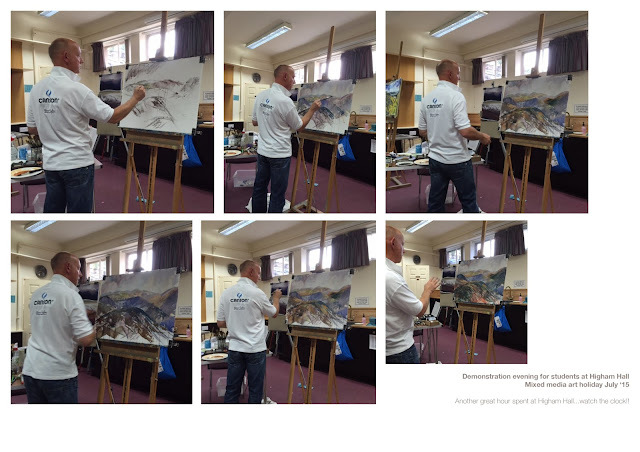 Thanks to David Robson (one of the students on the art break) who sent these to me! 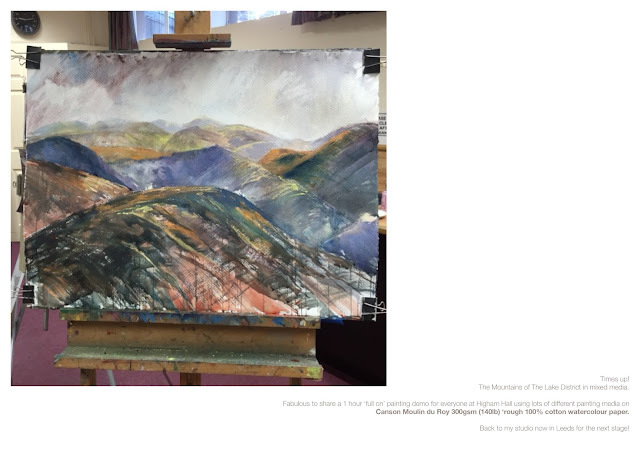 Much appreciated...to share again with you all the joy of painting at inspirational Higham Hall in the Western Fells in Cumbria! If you want to come and join me I'm back again in the Autumn from 1-6 November 15 to teach again so come and join in the fun! We'll have our own fireworks by the look of things! Places are now limited so...get your skates on! For more info and how to book follow this link through my website.